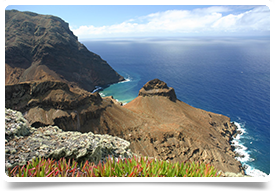 The island of St Helena is an internally self-governing Overseas Territory of the United Kingdom located in the South Atlantic Ocean approximately 4,000 miles from the UK. Working with the other doctors, the nursing team and allied health professionals on the island, this post holder will specifically focus on the development and delivery of a robust and effective primary care service. You will run out-patient clinics covering a wide range of clinical needs, including care for patients with diabetes, hypertension, cardio-pulmonary disease which are highly prevalent on the island. You will be actively involved in preventive care and lifestyles management and serve as the clinical champion for preventive service development. With support from overseas specialists and using local therapeutic guidelines and protocols, you will also be expected to consult paediatrics, ENT, ophthalmology patients. You will be required to take care of in-patients as well as being first on-call approximately every fourth night supporting the nursing staff in the triage and attendance of urgent care and emergencies. There will be second on-call cover from specialist colleagues in anaesthetics, orthopaedics, general surgery and obstetrics/gynaecology and emergency medicine. You will participate in training of other healthcare staff, clinical governance work including audits, clinical outcome data collation and reporting. You will be expected to maintain continuous professional development. Undertake all relevant administrative duties including medical record documentation, health data collation and reporting, and other relevant duties. We are looking for someone who can start in post ASAP and commit to a period of 12 months (with the option of extending to 2 years if desired). To find out more, or to apply, contact Jo Hood on +44 (0)131 240 5266 or email jo@headmedical.com.